Top 10 Best Grass Seeds for 2019: Which is The Best Choice? Why Should We Buy "The Best Grass Seed" Products? Most home owners recognize the value of a beautifully trimmed, lush, green lawn. A section of grass provides a beautiful contrast to your flowerbeds, shrubs and trees. It also provides a safe, soft place for kids to play on, and a soft “blanket” for summer picnics. A well- maintained lawn is also an ideal area for entertaining guests. Most of us value lawns for the above reasons, but how many of us ever think beyond that to their other advantages? For one, lawns help control the microclimate of our homes, keeping the ground cool when temperatures soar in summer. Grasses also trap pollution in the air, keeping the air in our homes cleaner. Carbon dioxide and sulphur dioxide are absorbed by the plants, which in turn release oxygen. It has been shown that a grassy area of just fifty square feet generates enough oxygen for a small family. Lawns help us keep our homes clean in another way too: they provide a “rug” that prevents us from tracking dirt and mud inside the house. A lawn also absorbs excessive noise, which is especially helpful if you live near to a busy road. There are so many varieties of grass seed on the market, it can be difficult to know which one is the best grass seed for your garden. We’ve chosen ten of the best rated grass seed varieties and made it easy for you to decide. Some of them are fast growing grass seed types, while others are a little slower, but all the ones detailed below are top rated grass seed varieties and you’re sure to find one that best suits your needs. 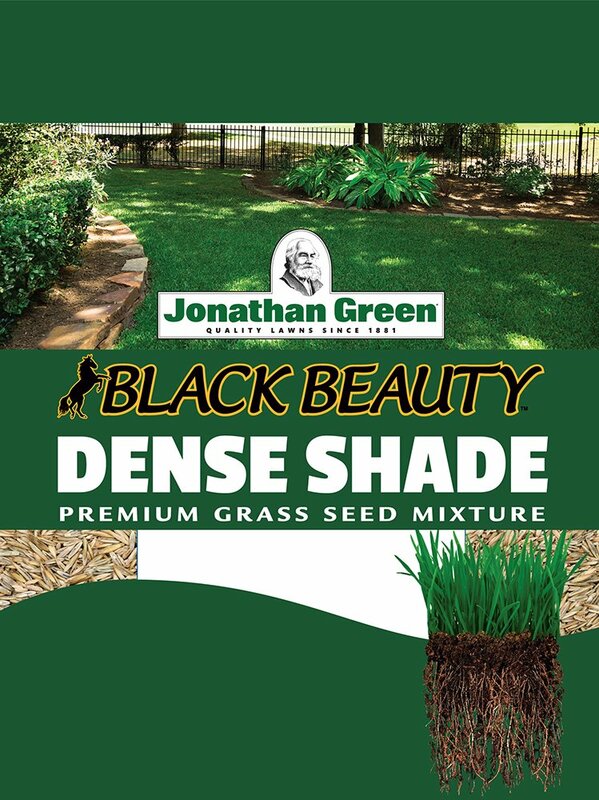 This is a deep-rooted, fast-growing grass seed that is suitable for use in both sunny and shady areas of your garden. Kentucky is a fairly coarse grass, but it is tough and very suitable for high traffic areas in your garden, for example where the children play ball or the dogs run. This variety prefers drier conditions, and does not tolerate too much dampness. It’s simple to plant: clear and level the ground, sprinkle the seed, and lightly cover with about half an inch of fine garden soil. It can be sown over an old lawn as well. Just sprinkle the seed over the existing lawn, then cover with a little peat moss to help retain the moisture. You’ll need to irrigate it every evening for about fifteen minutes to soak the seed, being careful not to over-water. It’s a good idea to sow the seed just after a good rainfall, when the ground is nice and moist already. It’s best to plant when the temperature is between 50 and 80 degrees Fahrenheit. Make sure, during the germination stage, that the ground never totally dries out. After about a week or so, you should see fine green shoots, but be careful not to walk on it for at least another week. Some people say that it germinates within three days. Once you can see green shoots all over- after about two weeks- you can reduce your watering to every second day. The grass should be left to grow to a couple of inches tall before mowing on a high setting. Cut the grass every two weeks to prevent any weeds that may have grown from making seed. 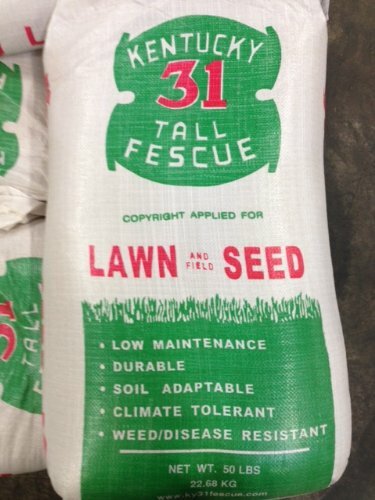 Overall, this is one of the best grass seed varieties on the market for harsh conditions. This is a tough grass variety that’s one of the best grass seeds to use for those high traffic areas of your garden. It’s fairly low-maintenance too. It requires little feeding, except on very poor quality soils. This variety prefers hot, drier conditions, but will tolerate snow and will remain green under it for a time. It will not do well in shade. Before planting, you’ll need to work the soil to make sure it’s properly aerated. Check that your soil ph. is between 5.5 and 7, as this grass likes acidic conditions. Take out any weeds and dig in a nice layer of compost to get your lawn off to a good start. The seeds then need to be dug lightly into the soil, and not simply sprinkled on top. You can use a rake to help you do this. Once planted, the seeds should be watered well. The ground should be wet to a depth of at least four inches. The ground must be kept damp until the seeds germinate and the seedlings are about two inches tall. 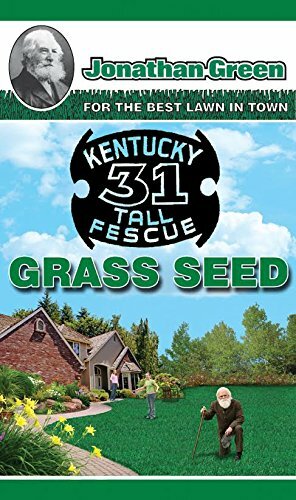 Kentucky 31 germinates quickly, and will produce a thick, green, tough lawn once established after about three months. Once mature, the lawn should be cut to a length of about three inches high. This variety has received great reviews and is one of the top-rated grass seeds you can find. This grass type has the advantage of being suitable for both sunny or shady conditions. 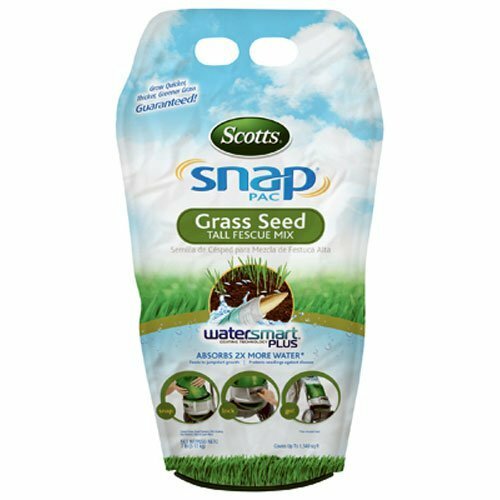 This grass seed has another special feature: a coating which absorbs water and provides the sprouting seed with essential nutrients to grow. This means that if you forget to water for a day in the early growing phase, the seeds will still remain moist. It also contains fungicides to protect the new plants from fungal infection. This seed has been especially developed for Pennsylvania lawns, and combines a mixture of various grass types. These varieties will cope with Pennsylvania’s extreme sun and shade conditions. The mixture contains Kentucky bluegrass, giving the lawn a dark green color. It has an aggressive root system, and a good ability to cope with heavy traffic. Kentucky bluegrass does well in areas of moderate shade or sun. 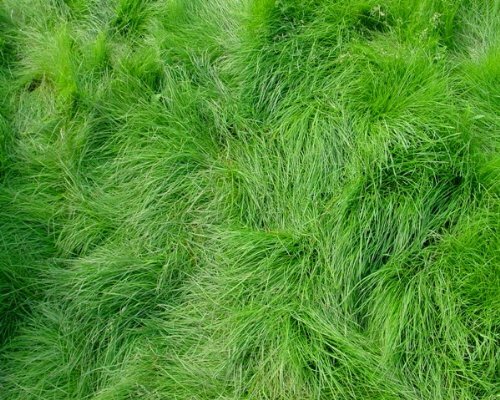 The mixture also contains perennial ryegrass, which fills in with its fine texture and beautiful green color. Perennial ryegrass germinates very fast, and is best for sunny spaces. It is a very thickly growing grass, which is good news for gardeners as it means that weeds will find it difficult to grow. Fine fescue is included in the mix for its toughness and its ability to withstand shade, cold, and high altitudes. It has a lovely soft feel which is pleasant to walk on. The best time to plant this grass is in the cooler months, when temperatures are around 60-80 degrees Fahrenheit. Therefore, plant in early fall or in spring. Germination should occur within about a week. It’s vital to water daily to keep the ground damp until the little plants are about 2 inches high. You may need to water daily to achieve this. Overall, this variety is one of the best rated grass seed varieties for Pennsylvania conditions. This grass seed mixture is a quick, temporary patch-up for those ugly bald places in your existing lawn. 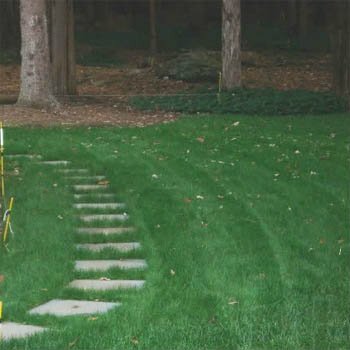 Covering those places prevents erosion and enhances your lawn’s appearance. 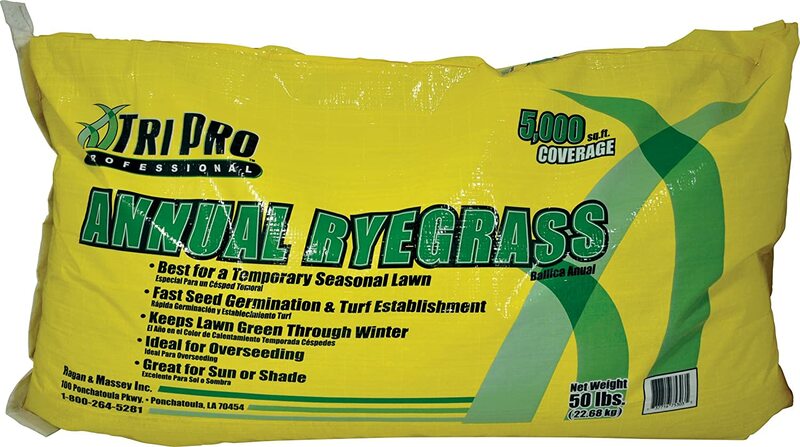 It is best for lawns in the northern states. This is one of the best rated grass seed varieties for cool-seasons, so the best planting time is in the fall. This will ensure that the new plants have time to establish good root systems before the winter. Alternatively, sow the seed in spring when the temperatures are still fairly cool. To prepare the ground for planting, you’ll need to rake over the soil to loosen it where it’s been compacted. Take out any dead grass that remains. To enhance your chances of germination, sprinkle a layer of special lawn soil or topsoil over the ground before sowing the seed. You’ll need to water every day, and even twice a day if conditions are hot, to make sure that the seed germinates. The seed should sprout within about a week. Once the grass is about two inches long, you can reduce the watering. The new lawn can be mown on your mower’s highest setting once it is about three inches long. This is definitely one of the best grass seeds to use if you want to quickly cover up those ugly bare patches in your existing lawn. Ryegrass has several advantages: it’s attractive and drought resistant. It grows fairly aggressively, choking out most weeds. Ryegrass is best used as a temporary lawn that just needs to fill in or last for a season. Annual ryegrass will grow in both sunny or shady areas of your garden. It’s a pretty dark green color. This mixture was especially designed to spread easily, so it’s easy to sow. It’s useful for over-seeding an existing lawn that’s become sparse. It’s also handy if you just need to cover a muddy area for the winter when other grasses are brown, until you can plant something more permanent later. Another advantage is that you don’t need to intensively prepare the ground before planting. The seeds germinate within a week, and the plants mature after about a month. Once established, you’ll have a beautifully soft, thick lawn. The grass will die down at the end of fall, turning a light brown color. The grass can be mowed once it’s three inches high, but should be mowed a little higher than normal perennial lawns. This is certainly one of the best grass seeds to choose to quickly cover a bare patch of ground for the cooler months. Legacy is a blend of a few different fine fescue seed types, each chosen for their special characteristics. Hard fescue is included for its tendency to grow in clumps that require little maintenance, as well as for the fact that its hardy and disease resistance. Chewings fescue is part of the mix as well because it likes cooler conditions and copes well in sandy, infertile soils. Creeping red fescue, also included, is cold tolerant, and creeps along underground with runners, rather than forming tufts. It can grow in fairly acidic soil, and doesn’t need much water. Altogether, this mixture will give you a beautiful, hardy lawn that will prevent soil erosion in sloping areas. It provides a perennial lawn that will thrive in full sun or partial shade. It’s cold-tolerant, but if planting in the fall, bear in mind that it needs about two months to establish itself before the first frost. To plant, scatter the seed fairly generously over the area. You do not need to cover it with soil, but you do need to water well and keep it moist until the seed germinates. This part is vital, as if it dries out, the seed will not germinate. This is not a fast-growing grass seed, and germination is fairly slow, taking around 10 days or more. Once established, this grass will need more water than most other lawn types, but you will be rewarded with a beautiful, thick, hardy, bright green turf. 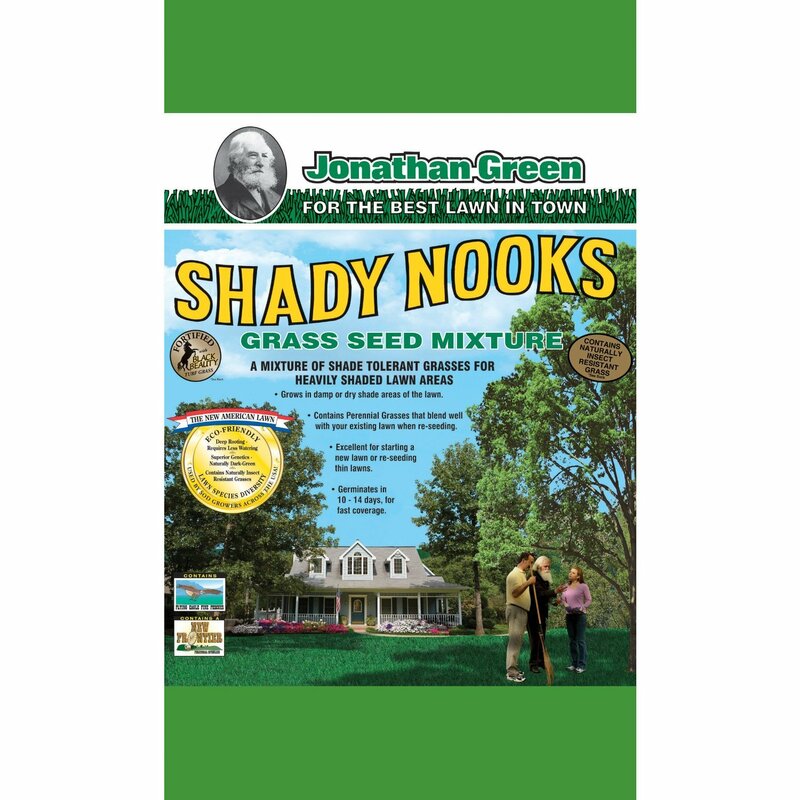 This is probably the best grass seed out there for a gorgeous perennial lawn in sunny or partly shaded areas of your garden. This grass seed comes with a special coating that absorbs water, provides nutrients, and protects the new seedlings against fungal infection. It is a mixture of heat and drought resistant grass varieties, so is perfect for gardens with extreme growing conditions. The Snap Pac is made to fit directly onto a special seed spreader, so that you can sow it evenly and easily. Sow the seed in spring or early fall. Once established, you’ll have a gorgeous, healthy lawn to enjoy. This mixture has been specially chosen for use in densely shaded areas under trees where nothing else will grow. The grass varieties have fine leaves, which give a lovely soft turf. It contains naturally insect resistant endophytic turf grass varieties which helps to deter insect pests. “Endophytic” means that the grass has natural bacteria and fungi which help protect it from insects. This is a big advantage, as it means you won’t have to apply insecticides to your lawn. This mixture isn’t fussy about what soil type it grows in, and can be used in drier sandy soils with good drainage, or in damp clay soils that retain a lot of moisture. The leaves are tough and waxy, which prevents moisture loss in the heat. The roots grow very deeply beneath the surface, so they are able to get moisture even under trees. 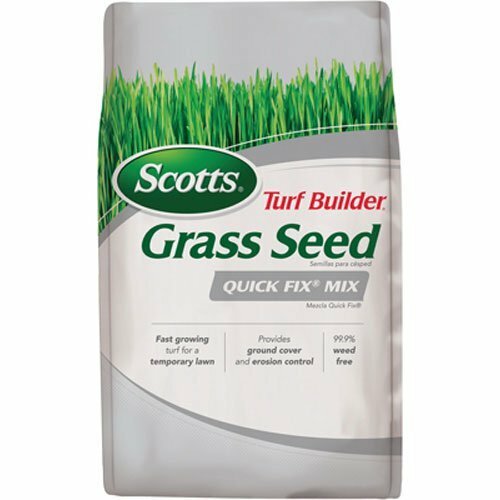 This is a top-rated grass seed that is useful for filling in gaps in an existing lawn, or for planting a completely new lawn. You’ll obviously need more seed if you’re starting from scratch. Once planted, the seeds germinate within about two weeks. Red fescue is a beautiful, very finely bladed grass. Despite the name, it’s not red, but a lovely darkish green color. It does well in dry, shady areas, so is perfect for planting under trees. It can be planted on its own or mixed with your existing lawn. Although it’s great for in shade, it can also be used in sunny areas, but you will need to water it more frequently. This grass is suitable for growing in the northern states. However, it is not as cold tolerant as Kentucky bluegrass, for example. Creeping red fescue grows best in well- drained soils that are acidic. Seeds should be planted at a depth of about ¼ of an inch. The seeds germinate easily, after about two weeks. And the grass spreads by means of creeping rhizomes which spread under the ground. Once it is actively growing, it can be fertilized with a high nitrogen fertilizer to promote leaf growth. In summer, it should be watered weekly as too little water can stop its growth. The lawn can be mown once it is about three inches high. Avid gardeners will know how difficult it is to establish and maintain a lawn in a shady place. This variety has been specially chosen to survive in damp or dry shady areas. It works well under extremely dense tree shade. It contains a variety of grass called Sun-Up Trivialis, which is a shade tolerant grass that grows very nicely in damp, shady areas. The mixture also contains Harpoon Hard Fescue for those drier places in deep shade. The root system of this lawn is very dense, making it better able to cope with dry conditions as well as high traffic. It is a perennial grass, so it will regrow each season, meaning you won’t have to keep replanting. Before planting, check that the PH level of your soil is between 6.5 and 6.8. If not, balance it before planting. If the soil is very compacted, dig or rake it to loosen it a little. Sow the seed with a spreader, then rake it in to cover it. You’ll need to make sure the seeds are kept damp for a week or two until they germinate. You should start seeing small blades of green about 2 to 3 weeks after sowing. Once the grass is about four inches high, it can be mowed. Keep it at about three inches long. At the last mowing before winter, cut it to about two inches long to help the grass survive the cold weather. 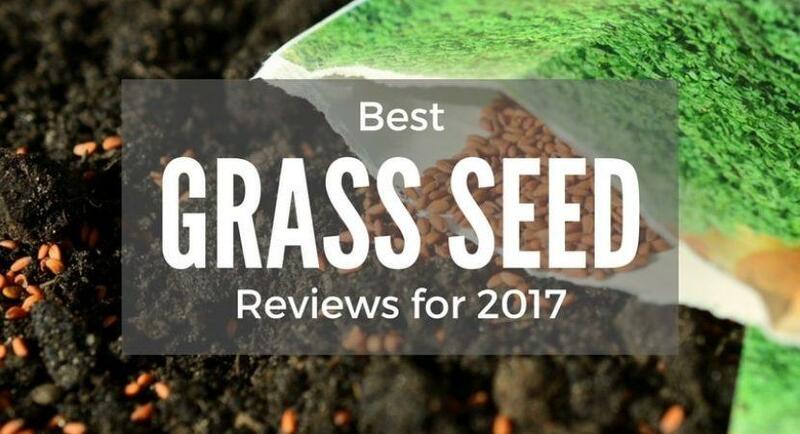 We hope this article - Best Grass Seed Reviews 2019 - helps you navigate the huge variety of grass types out there. If you follow the planting and growing instructions, you can be guaranteed of a beautiful lawn within a season. We wish you the best of luck with your turf!